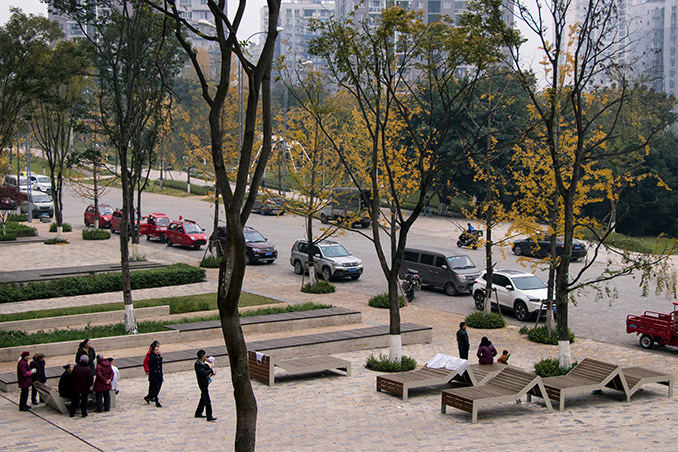 WallaceLiu has transformed Yannan Avenue, a 20m wide highway in Chongqing, into a livable street and pocket park. 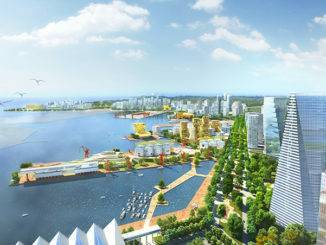 Through the creation of a shared surface, the delineation and monolithic character of the highway is replaced with the language and scale of a public space. 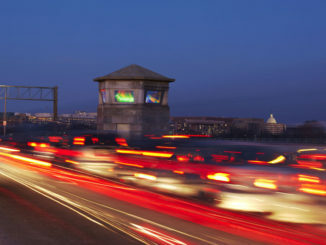 The highway before the transformation was characterised by the language of vehicles through its layout, signage, materiality and scale. 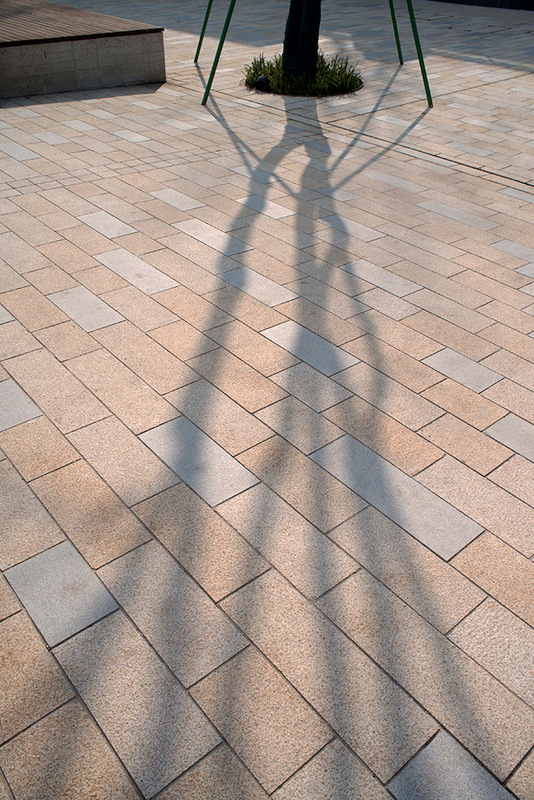 The footpaths were not continuous creating unsafe moments for pedestrians. 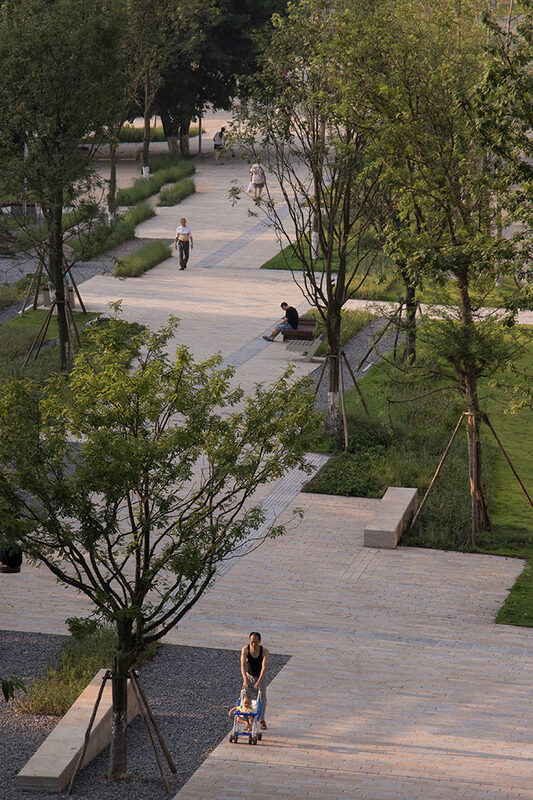 We introduced a subtle, robust granite surface across the whole space to create a calm promenade with a warm tone that compliments the existing Ginko trees. 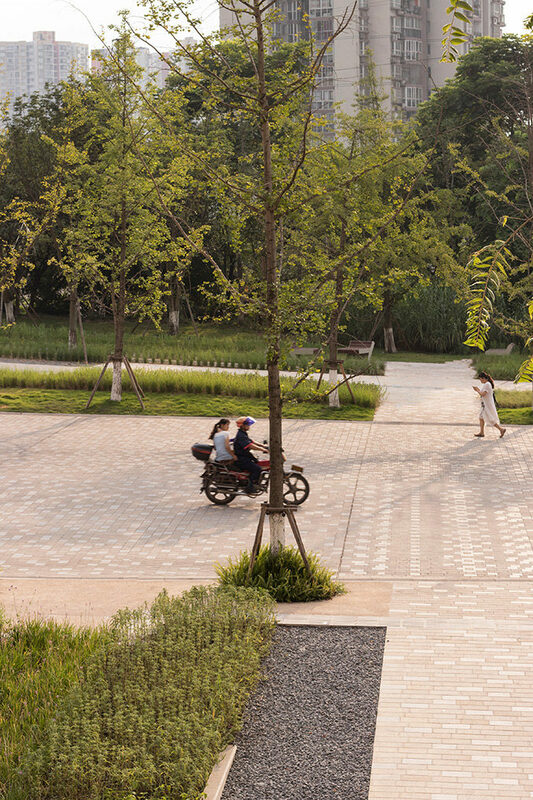 Subtle changes in surface texture and pattern achieved by adjusting the proportion of different granites, finishes and coursing directions, guide different users in how to use the space. 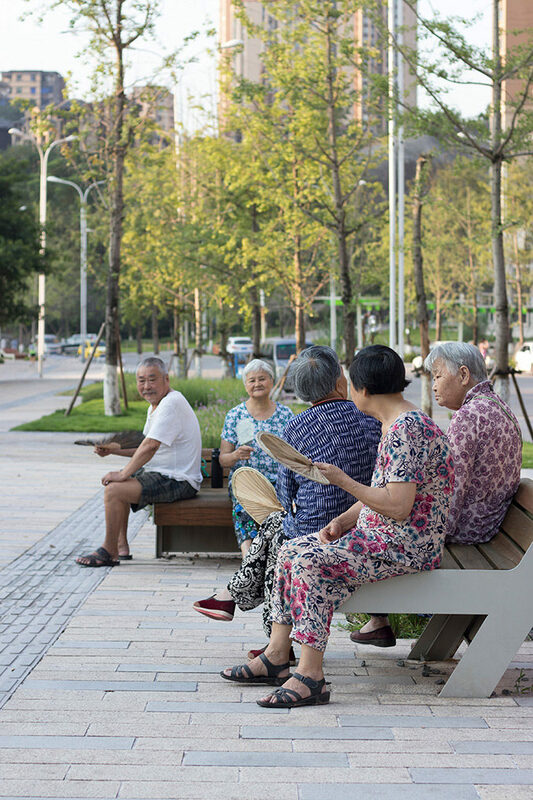 Blurred edges, created by removing the kerbstone and through the clustering of street trees and long undulating benches, reinforce the idea that this is a shared space requiring different behaviour from drivers and encouraging pedestrian activity to spill out into what was the highway. 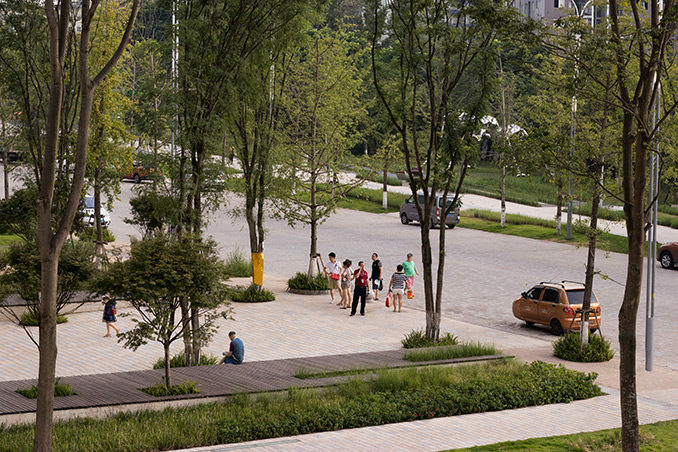 The transformed street re-imagines the highway as a continuous urban park through which vehicles can move. The western side of the street is fronted by a long commercial building. 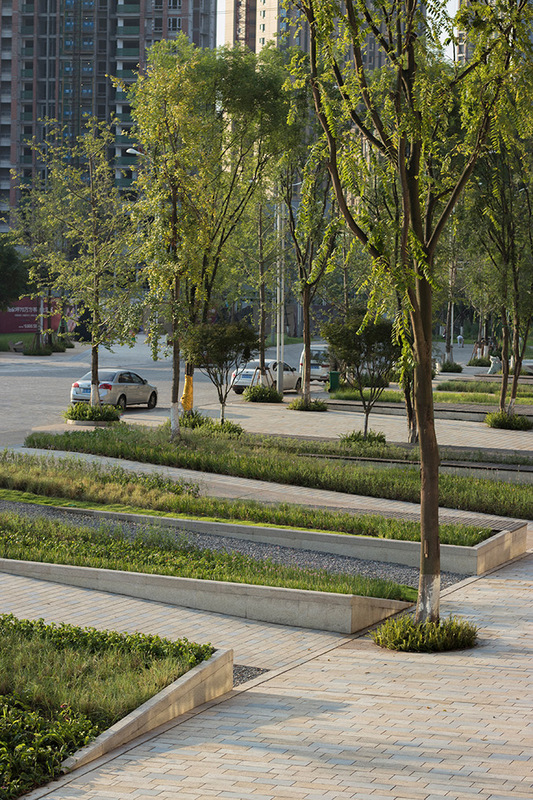 Planting is formed into linear blocks perpendicular to the building that creates a smooth transition between the levels of the street and building entrances. Alternating strips of timber, low and tall shrubs, lawn, gravel and granite provide different textures along its length. 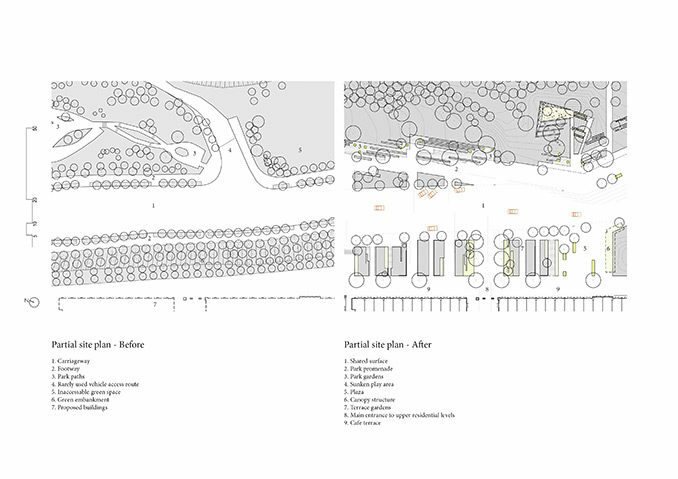 Towards the southern end, the planters become more formal and open to creating a larger space of hard surface, an extension of the highway, for larger gatherings. 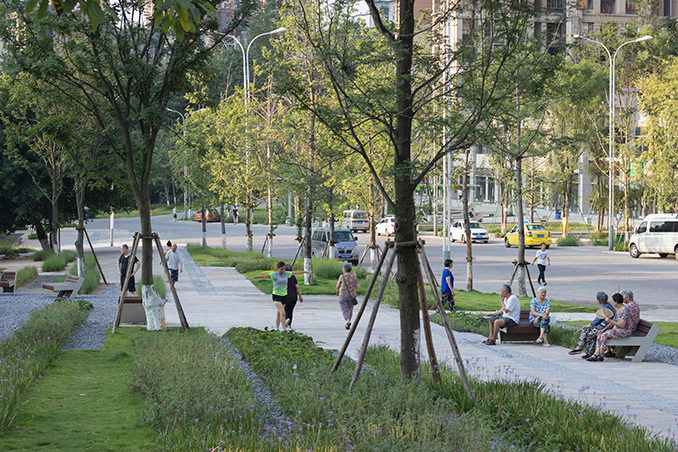 On the eastern side, a small existing park is reorganised and paths are consolidated into a loose promenade containing a series of intimate gardens of flowering shrubs and trees. 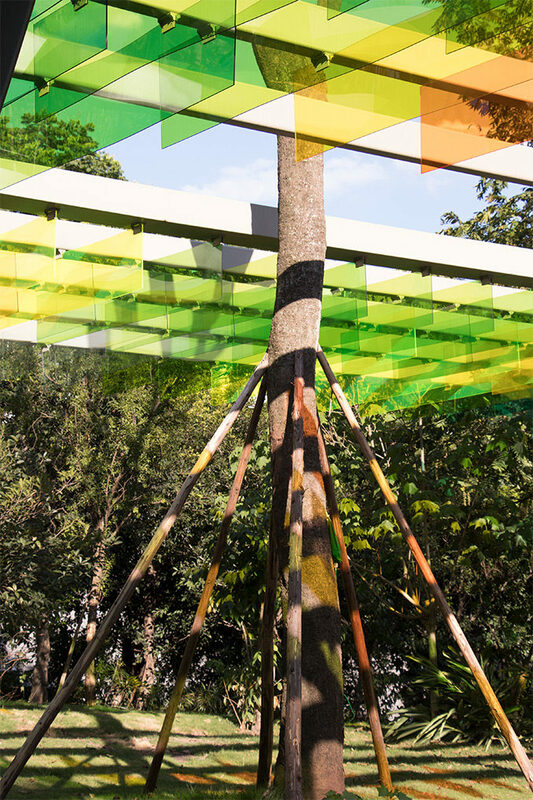 A family of playful timber seats are casually clustered within the gardens. 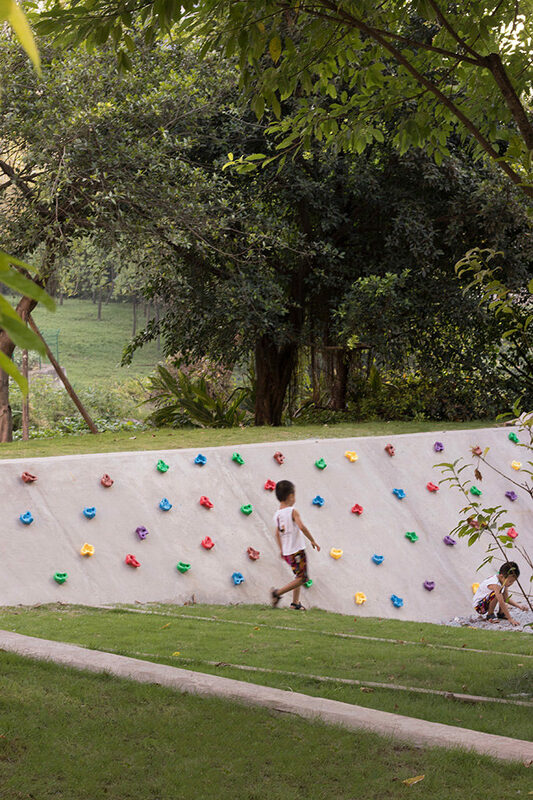 Towards the southern end, the gardens expand to form a sunken play area where the landscape is carved into slopes and shallow walls for climbing, running and sliding. 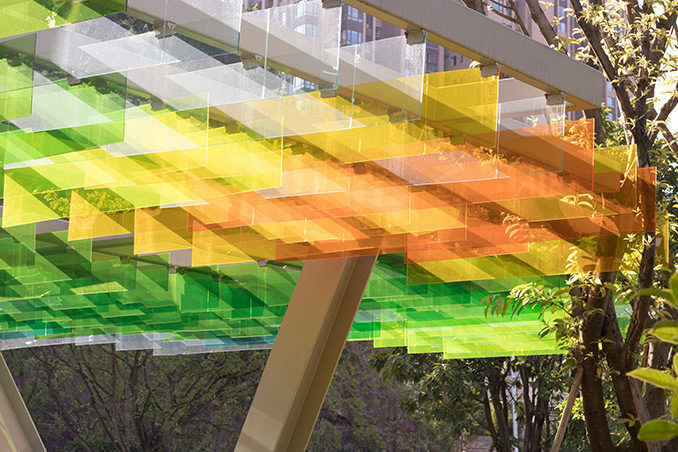 Colourful canopies are located at significant points on the street. 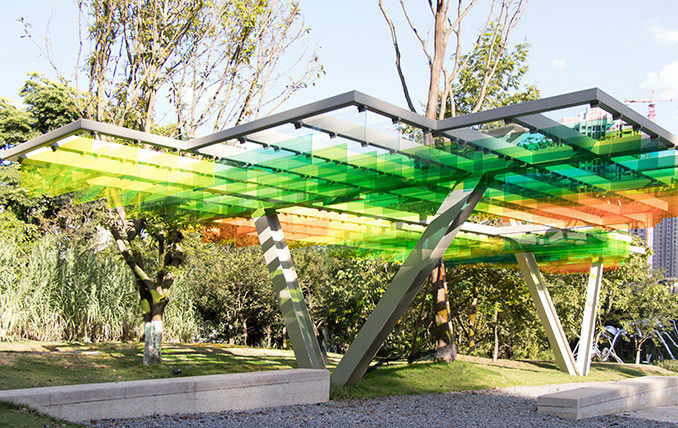 The canopies are all made from a lightweight Perspex supported on a powder coated steel frame but each is unique, creating specific compositions through colour and form with the flora, paving and buildings, filtering views and casting pixel like clouds onto the landscape. The new Yannan Avenue better accommodates the rhythms of people’s lives by allowing the different uses to more comfortably co-exist, expand and contract at different times.